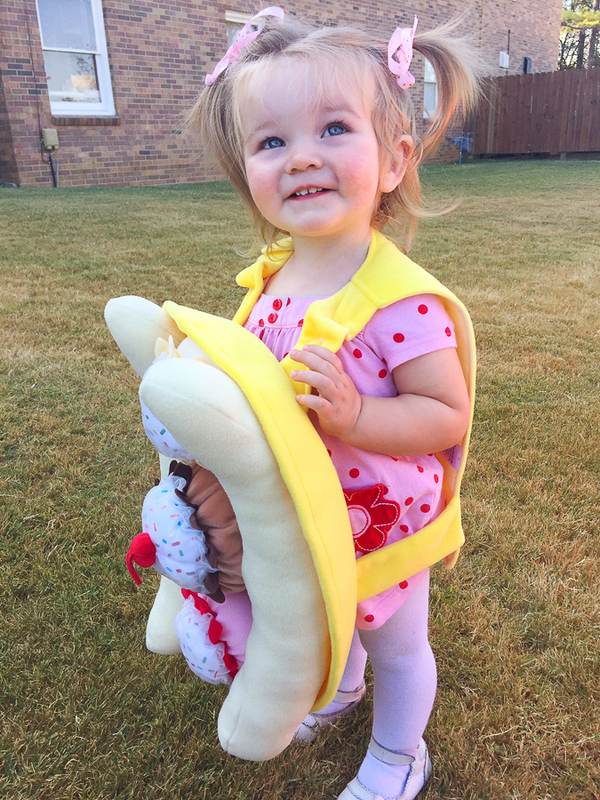 Caroline dressed up as a Banana Split this year for Halloween. This sweetie-pie is too cute for the creepy costumes, so we went with something a little more on the sugary side. When Garrett was a little dude I always decorated my car for his preschool Trunk-or-Treat to match his costume, so the tradition continues! 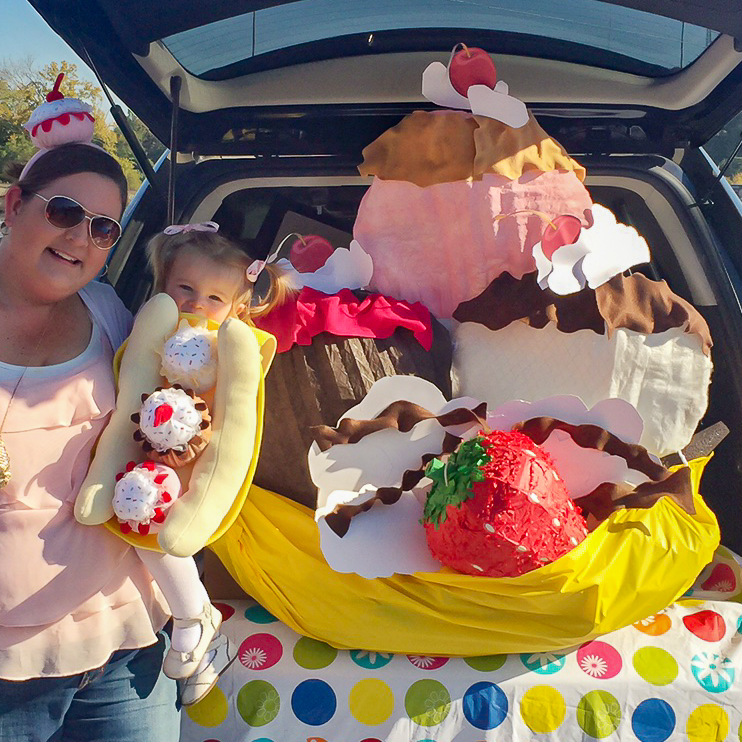 I made a giant DIY banana split decoration for Caroline’s Trunk-or-Treat today. 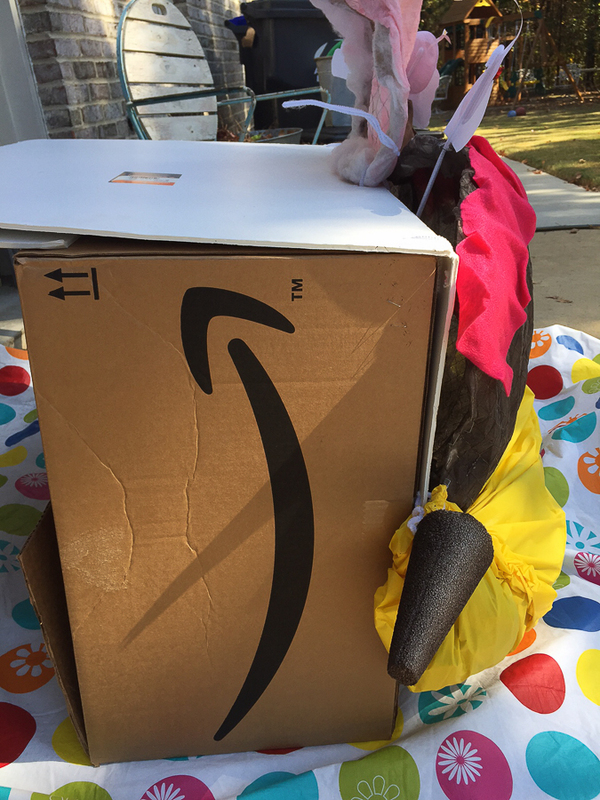 It was fun to make it, so I thought I’d share with y’all how I did it, in case you are searching Pinterest for cute Halloween Trunk-or-Treat ideas for your church. Make the banana by folding the tablecloth in half, gathering up each end and stapling together to form a hammock / banana shape. 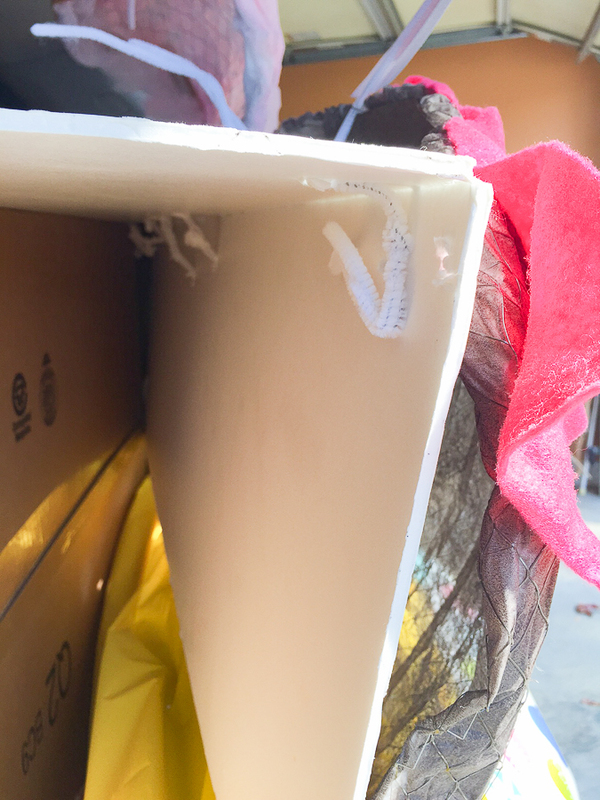 Fill the inside with Kraft paper or newspaper to fluff it out. Spraypaint two styrofoam cones brown and attach them to each end using zipties. 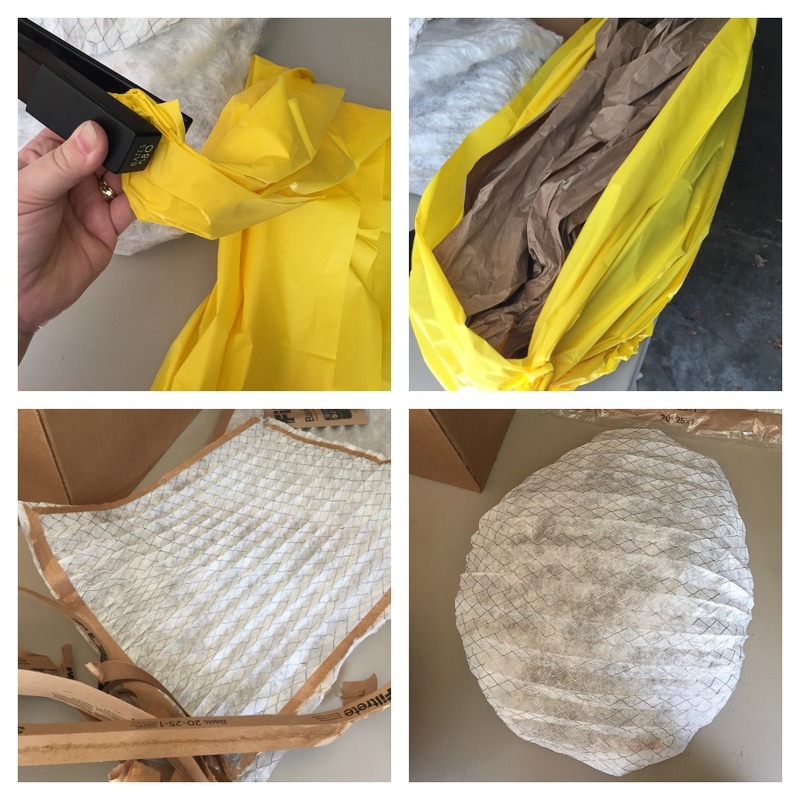 Remove all of the brown edging from each pleated air filter and bend/ form into a circular shape. These will become your balls of ice cream. 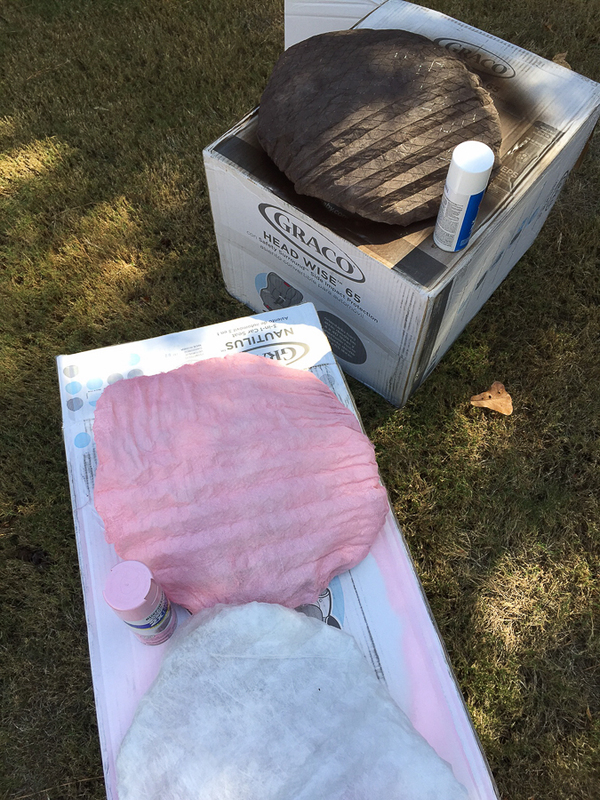 Spray paint one air filter pink for strawberry, one brown for chocolate and leave one white for vanilla. 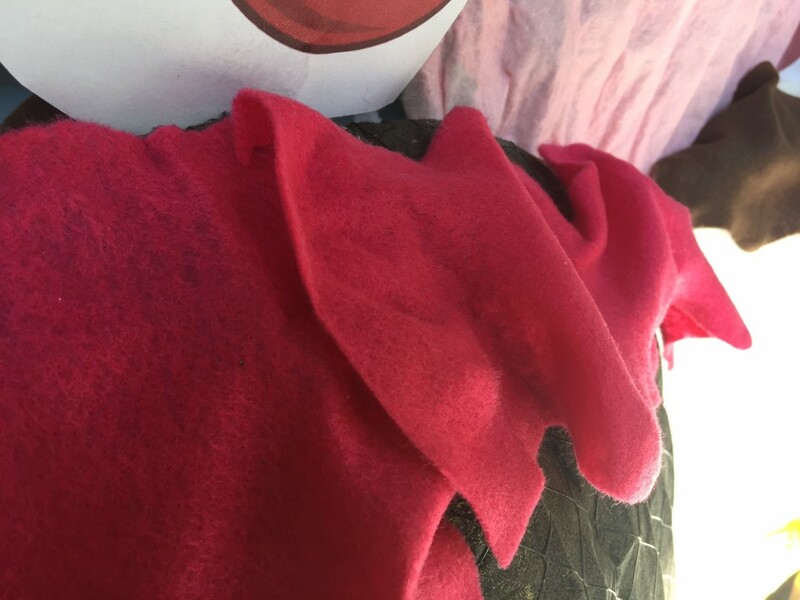 Cut the pieces of felt in half and stretch each piece until it’s pliable. Pull the ends to make it look wavy. 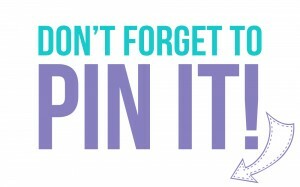 The more you stretch and pull the felt, the more pliable it becomes, so work with it until you’ve got something that looks like rippling/ dripping toppings. Attach these topping around the top of each “ice cream” with spray adhesive. 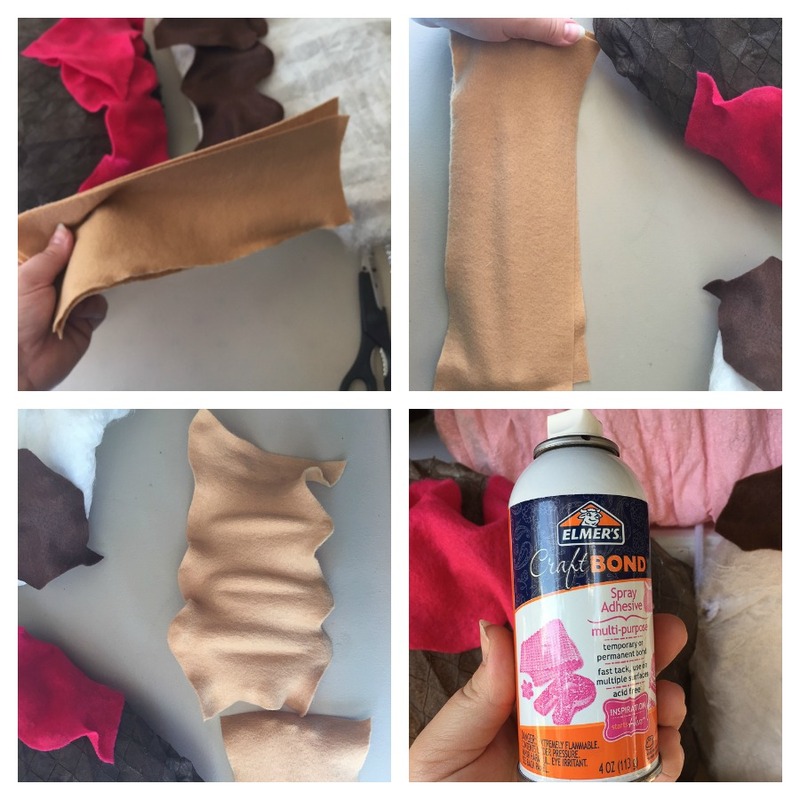 Just a little spray on the back of the felt and the air filter will attach them easily. 7. 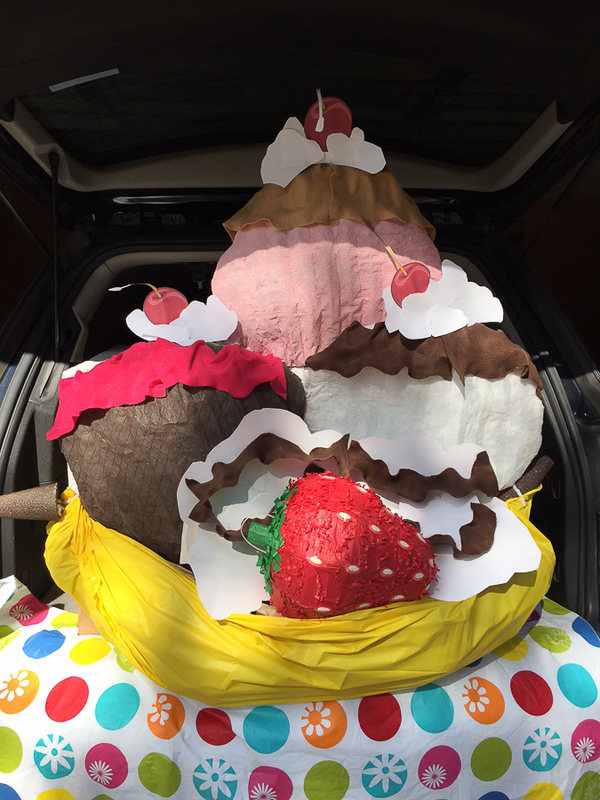 Attach the banana and three ice cream balls to the foam core using pipe cleaners. Poke two holes and string a pipe cleaner through it all to hold them together. Also, connect the three air filters together using pipe cleaners for more stability. 7. 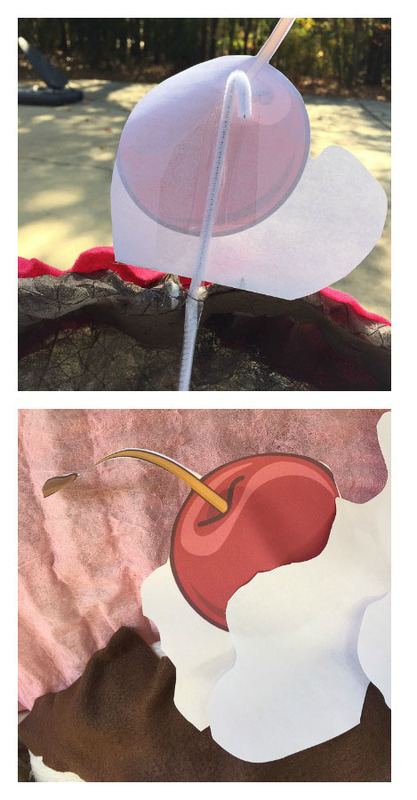 Print out three copies of a cartoon cherry and cut each one out. Add extra “whipped cream” using paper and tape a straw/ pipe cleaner to the back to stick it down in the top of each ice cream air filter.